The pop up made just for you (us!) 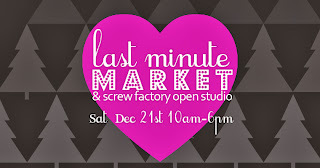 is the Last Minute Market. I'll be there, will you? I don't have kids but I sure so like buying presents for them, especially for the holidays! You won't find video games and iPads on this list, but there's still a lot of fun to be had. 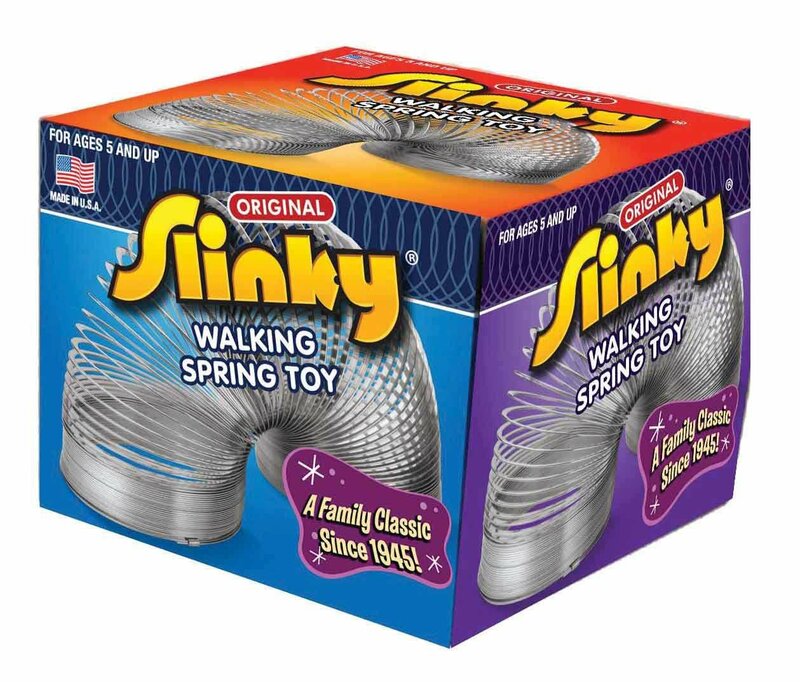 I'll start with a classic ~ Slinky! When I was a little girl, my favorite stuffed animal was a panda named Teddy so I'm obviously biased in the bear category. This one isn't my beloved Teddy, but he sure is cute! For the budding chef, this play kitchen from American Plastic Toys will have the kids cooking up a storm and creating all kinds of culinary masterpieces. This camo ATV will be sure to be a hit! The kids can ride around the basement or garage until the weather gets better. 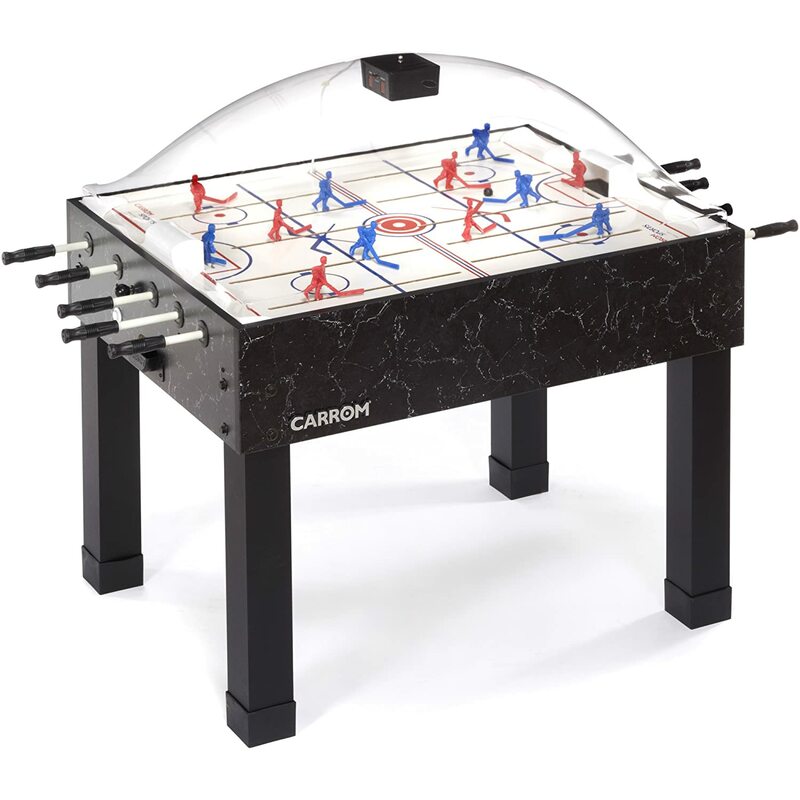 Fun for kids and adults too, this air hockey game will provide years of entertainment and is so much better for you than sitting around playing video games. 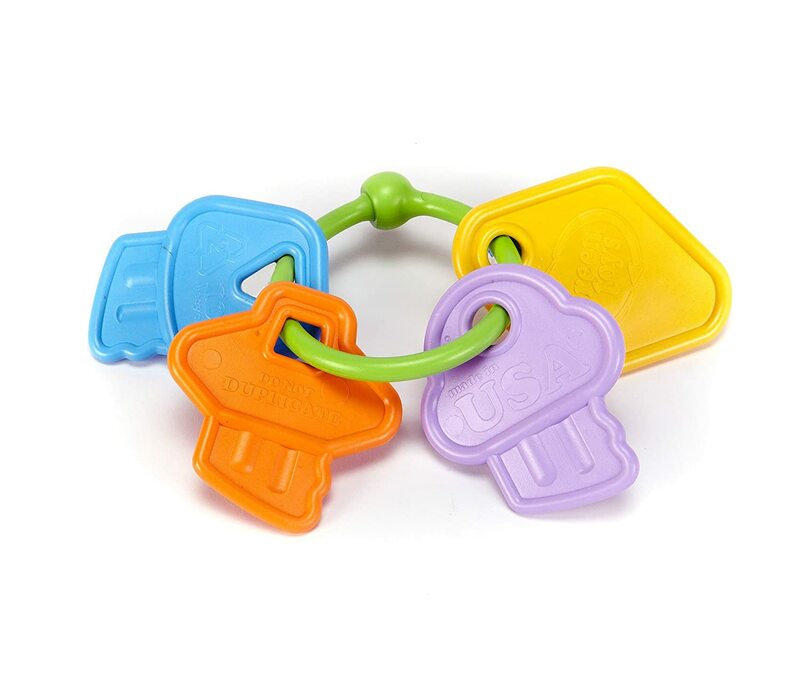 For the littlest ones on your list, My First Keys are made in the USA from recycled plastic and are BPA free. 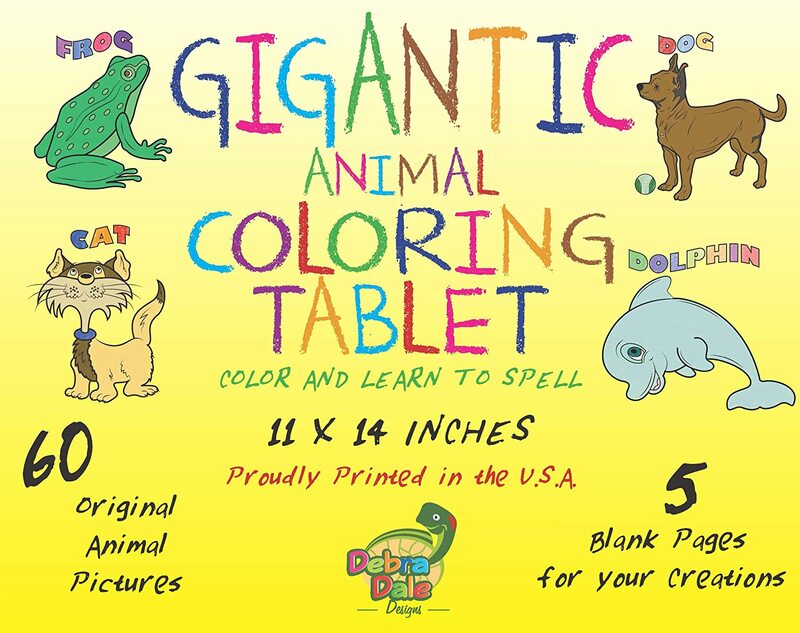 For the artist, how about a huge Coloring Book with tear out pages. And with a coloring book, you need crayons! But not all are created equal. 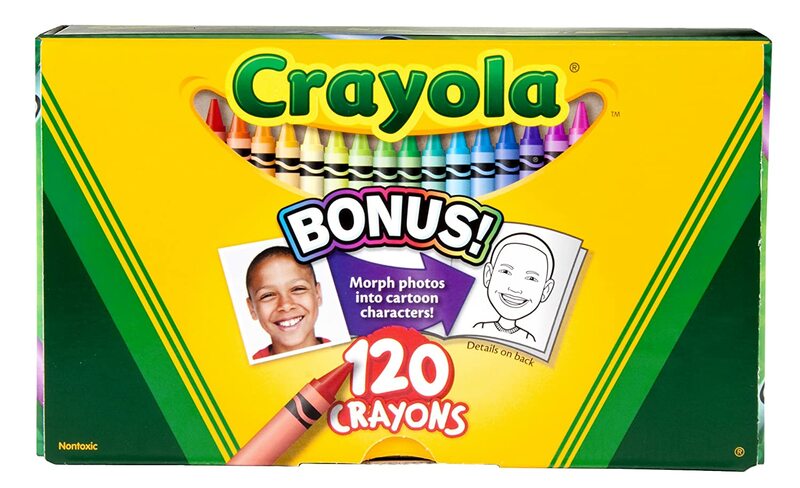 Crayola produces many of its products in the USA but check the packaging to be sure. These are an example of ones that are. If you are looking for plastic figurines, these Space Hero and Monsters are some of the coolest around! 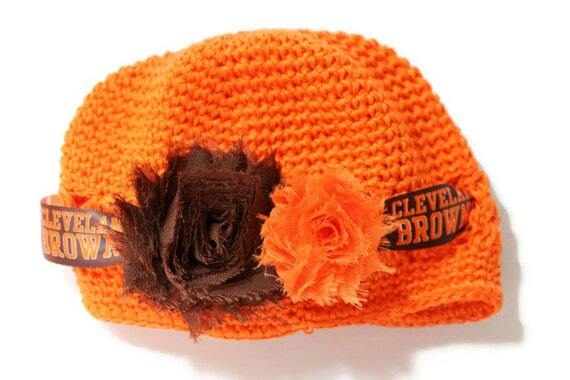 Even though they aren't really good at winning, your little one can cheer on the Browns in style with this hat from EmsBabyGems. Seriously, this is too cute! And while we're talking about clothing, one of my favorite stores stocks kids gear too. Check out this Made in Cleveland Onesie from the Cleveland Clothing Company. It comes in blue, red and black too. Once your child outgrows the highchair and booster seats, it's nice for them to have place to sit that's sized just for them. 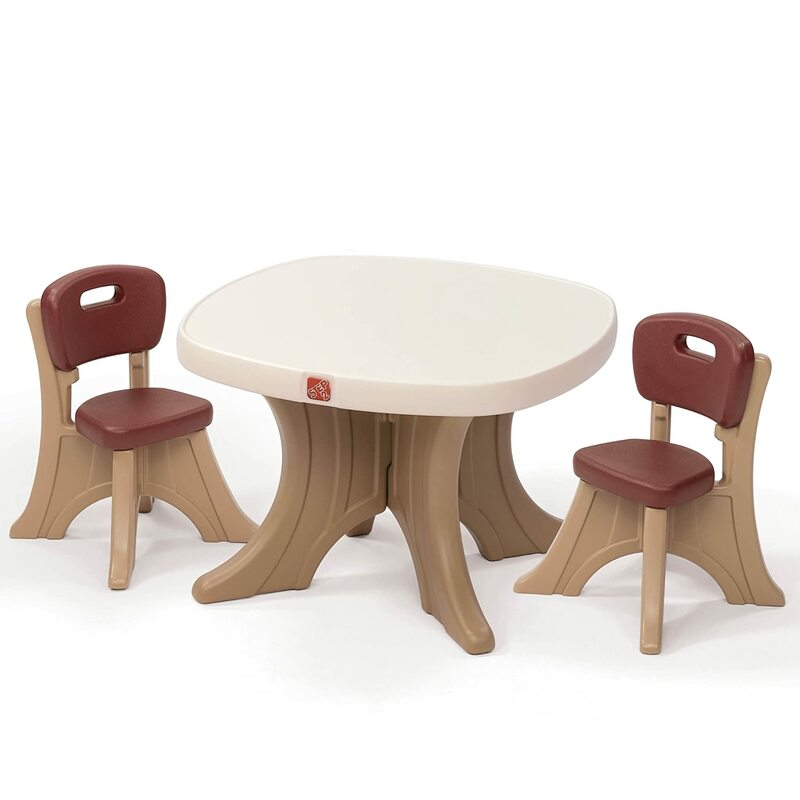 Local company Step2 makes this great Table and Chairs - it's perfect for snacks, coloring and more. 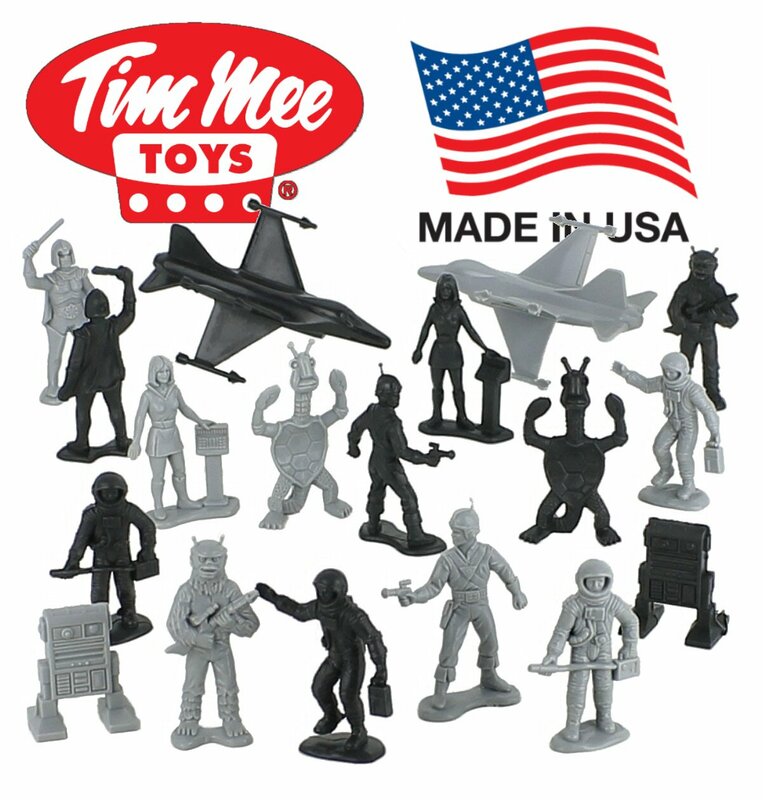 Some of their toys, especially the smaller ones, aren't made in the USA. You can click here for their list of ones that are. You can also stop by their outlet in Streetsboro for a great selection and deals. I love wall decals and these would be perfect above a child's bed. They also have really cute Alphabet Animals, Disney Princesses, Rocket Dog, Cars 2, Big Top Circus and more. I'm tempted to get this one for myself - this Kool Rider makes your bicycle sound like a motorcycle! Wouldn't it be perfect on this super cute Dirt King Patriot Tricycle?? If you have a wine lover on your gift list, there are endless ways to make them happy. The most obvious way is a bottle of wine. My favorite local winery is South River in Geneva. For red wine lovers, the Trinity is full of flavor but smooth. White wine lovers will enjoy the Riesling Reserve. Their ice wine is delicious too. If your friends like to drink their wine poolside or on picnics these polycarbonate wine glasses will have them drinking in style without worrying about broken glass. Colored, monogrammed and stemless versions are also available. I can't live without my wine aerator. This one fits right on the bottle and is for both red or white wines. Everything is better with wine, including Monopoly! You can have a glass of vino as you play the wine themed version - Wine-Opoly. This glass jug is perfect for a big batch of sangria or other beverage of choice. It's glass and won't stain if you use red wine either. These are a total splurge but they're a perfect nibble to go with your wine. Mamie's Slice and Bake Cheese Wafers are made with cheddar cheese, butter, pecans and cayenne pepper - yum! Cheese is the BEST and my all time favorite food with wine. They go together so perfectly! There are so many great cheeses locally - grab an assortment, add wine and you have an instant party. The Cheese Shop at the West Side Market has an amazing assortment of everything cheese. While you are there you can pick up some hoomis and pita, pink peppercorn lemon and basil dipping oil, bread, olives and some sausages for a perfect gift. L'Albatros has FANTASTIC cheese at their restaurant but did you know you can special order some for at home? Call 216-791-7880 and ask for Tesa. She will help you custom order seasonal and properly aged cheeses that will be sure to delight. Some other favorite places for cheese are Miles Market, Trader Joes, and Heinens. If you are eating cheese, that normally means you need a knife. 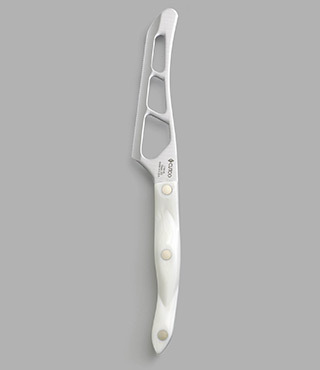 This special cheese knife from Cutco makes cutting softs cheeses like brie super easy so you can spend more time eating and less time cleaning off the gunked up knife. How about a wine tote made out of a recycled Ohio license plate from Littlearthshop.com? A local wine that gets rave reviews is Sonkin Cellars. I've never tried it but it's on my list of my try wines. It's available at fine restaurants including Lola, The Greenhouse, Valenti's and Fire or you can order by clicking here or by stopping in The Wine Spot on Lee Rd. in Cleveland Heights. These sunglasses are so cool! 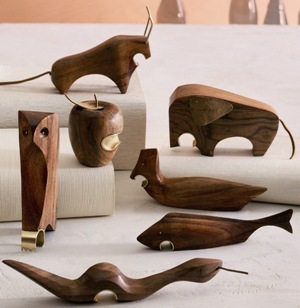 I love that they are recycled of course but the fact that they are made from Robert Mondavi's oak wine barrels will make any wine lover a little bit giddy. Polarized lenses and 100% UV protection make them good for your eyes too. No doubt about it, Cleveland is a beer drinking town. Here's some great gift ideas for the beer lover on your list. These are so perfect for tailgating or just watching from the comfort of your couch. CLEClothing has a lot more designs to choose from too. New Albion Brewing is a California company with a local connection. Local blogger Renee of The Brewer's Daughter is bringing back her birth father's recipe for microbrewed beer. If you are lucky, you'll snag some of the beer. Until then, get this hoodie to keep your loved one warm. How about a brew your own beer kit? You can order this one from Brooklyn Brew Shop or visit Leener's in Northfield. Toss your everyday bottle opener and get one of these for function and fun! My favorite is the shark! Plus, take 20% off each order. Use code WDHD20DSC at checkout to apply. $2 ground shipping. Tired of losing your beer can when you set it down because someone else takes it or it's jumbled up with a bunch of other unknown cans? Use this handy device to leave your mark. There are so many tasty brew options in town, you can easily get a gift certificate for any one of them or even assembly an amazing 6 or 12 pack of craft beers for your beer loving friend. Great Lakes Brewing Company is one of the best and they have everything imaginable for the beer drinker on your list. One of my favorites is the Beer School on Wednesdays. You get an informative and fun tour of the brewery plus tasty samples, snacks and a swag bag. As a weekend alternative, you can take your loved one on a Brewery Tour and then grab a bite in the brew pub. The Local and Fresh plate is a must - it's the perfect assortment of meats, cheeses and veggies, many from across the street at the West Side Market. 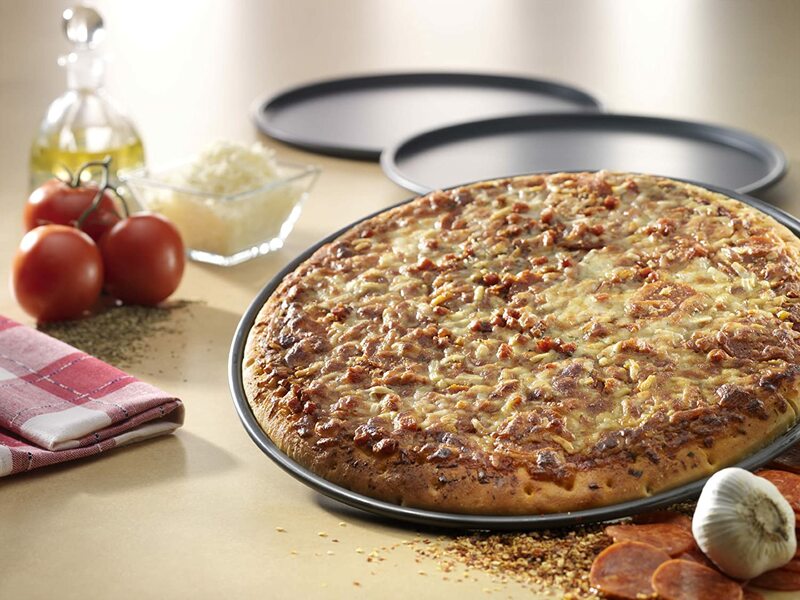 Pair it with Brewer's Barley Pretzels for a well rounded nosh. If you're strictly into meat, get the Sausage Sampler - it's delicious too. They offer flights of beer which are perfect for sampling a little bit of everything. Their shop has all kinds of great gift options: t-shirts, sweatshirts and hoodies, posters, glassware, and of course gift cards. One of my favorites is this thermal hoodie tee. And for only $2, you can add a 10 pack of coasters to that custom 6 pack. You can also head to Rozi's for a premade gift basket. The Cleveland's 24 pack Micro-brew will made your loved one VERY happy. They also have a tasty Buckeye State basket that features all things Ohio and a very affordable Seasonal Assorted 8 pack Micro for those who can't get enough of Christmas beers. For the home brewer, they also have brewing supplies and a Beer of the Month Club. If the beer lover also loves chocolate, then combine a 6 piece gift box of Lilly's Chocolates and a 6 pack for a taste sensation! They can help you make sure the pairings are perfect. Chuck's Fine Wine has a over 400 beers plus accessories, signs, delicious food items, glassware and a beer club. Heinen's, Whole Foods and Market District by Giant Eagle and other spots that have great beer selections. Anyone who knows me knows that I LOVE to cook! And I love all sorts of gadgets, tools and anything kitchen related. This assortment will have the aspiring chef in your life looking forward to hitting the kitchen...and maybe you'll get to reap the rewards of a well cooked meal as a Thank You! Globally Good® Silicone Baking Cups / Cupcake Liners - 12 Premium Reusable Muffin Molds in Storage Container are perfect for making cupcakes, muffins and single serve meatloafs too. I like to make bite size baked mac 'n cheese in them too. Yum. I have an electric can opener but I'm always grabbing my manual one instead. This one is a champ and will open the toughest of cans. Every chef needs a great knife but it's also nice to have ones that you can use for a quick chop and toss in the dishwasher. 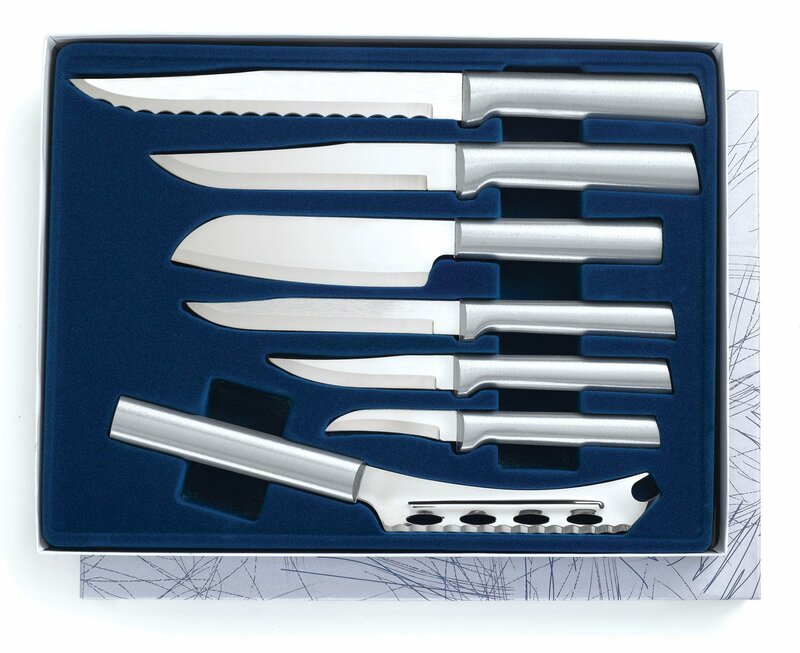 This Rada Cutlery The Starter Knife Gift Set Part 2 is super cheap and durable. Plus, it's worth the price just for that cheese knife! 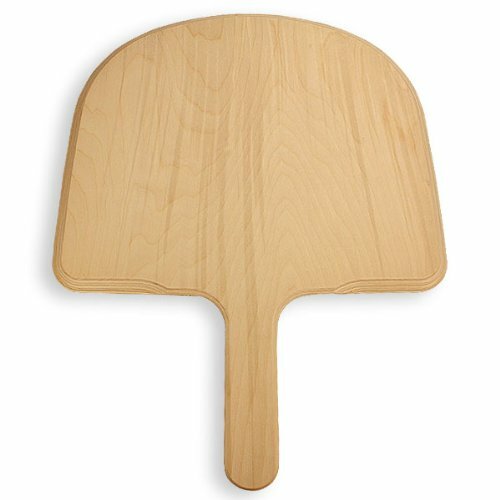 This Amish Made 14" Wood Pizza Peel is thick enough that it won't warp but the beveled edges make it slide under the pizza. We have so many local Amish communities, I'm sure you could find on the next time you take a trip. This EXO Limited Edition Super Peel in Solid Cherry is a little fancier looking and includes a sliding pastry cloth belt that enhances the non-stick quality of the peel. 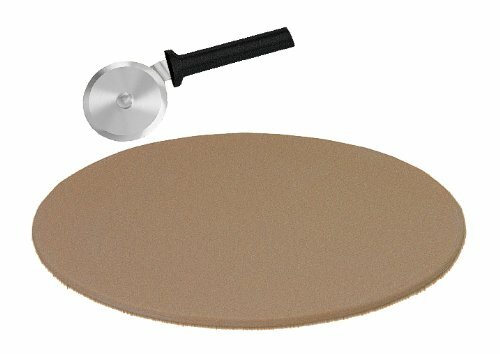 This Rada Pizza Stone, Peel and Pizza Cutter is such a great gift - it's just as nice as the more expensive Pampered Chef baking stones but it's also dishwasher safe! If you prefer your pizza Chicago style, this Aluminized Steel Deep Dish Hard Anodized Pizza Pan is the way to go. It's made next door in Pittsburgh too. For any Italian girl, a pizzelle maker is a must! This is the Classic - it great quality and will last forever. Add some Anise oil or vanilla for an extra treat. Made right here in Cleveland, a Vitamix blender is on EVERYONE'S wish list. 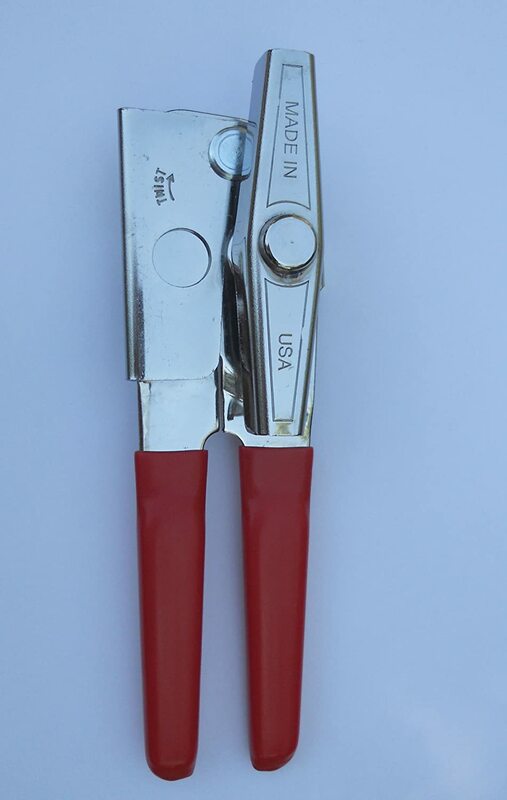 They are made so well, you can purchase a reconditioned unit without fear. 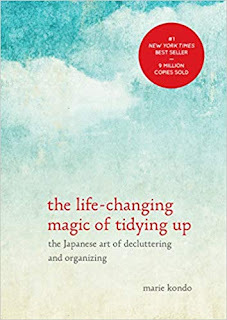 Take advantage of the local outlets where you can also find cookbooks, containers and other accessories. Another must have idea is a KitchenAid mixer . With colors to match any decor and a seemingly endless list of accessories, it really is the gift for everyone. If you know someone who has the mixer, get them a cool add on like the Attachment Pack #1 for a nice assortment or the Grain Mill for a quick way to make fresh flour, corn meal, etc. Pyrex is another company that makes a great product and is still manufacturing in the USA. These bowls are my absolute favorite for storage. They are perfect for taking food for lunch because the lids seal super tight and you don't have to worry about plastic in the microwave if you take off the lid. Plus, I love them for left overs because you can actually SEE what you have. They are also oven safe. Get rid of those crappy plastic containers - these are the upgrade you need! But sometimes even the cook just wants to kick back and let someone else do the cooking for them! You can get a gift certificate for from Sowfood and give the cook in your life a break. For $115 they will get a whole week of meals. Call 440-622-5071 or email info@sowfood.com for details.